The article was originally published on 14 January at Aktuálně.cz, EURACTIV.cz’s media partner. There are more than 218 million people living in extreme poverty in Africa. The European Union therefore invests millions of euros to improve the living conditions of Africans and to limit their mass migration to the north. The financial assistance provided to Africa by the EU then turns into real and concrete aid – for example, in the form of sweet potato seedlings, wells or school buildings. This transformation of European funds is based on hours of paperwork, difficult field trips and negotiations with African communities. Jana Toužimská from the People in Need organisation, a Czech NGO which runs projects for example in Ethiopia, has some experience with it. Thanks to one of these projects, local communities learn to cultivate potato varieties rich in vitamin A, which prevents children’s dwarfism. “We have test fields where we teach locals to grow potatoes,” says Toužimská. 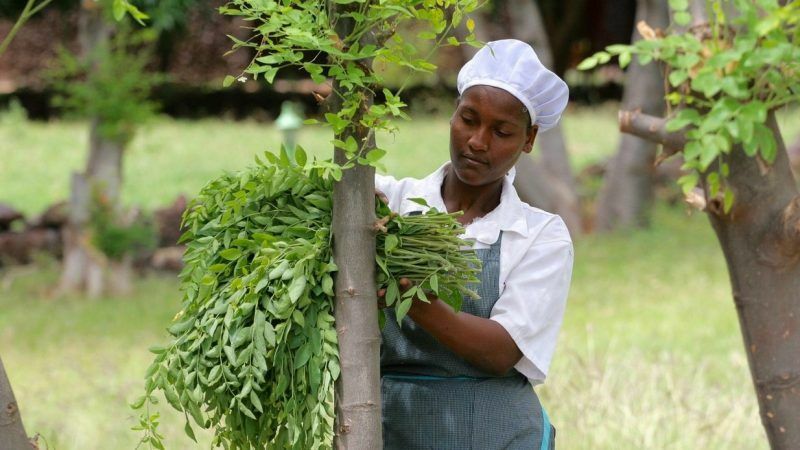 Ethiopian workers from different organizations, who know the environment best, are involved in working with local communities. In addition to the cultivation itself, they explore what plant varieties are capable of withstanding the harsh conditions in Ethiopia. Local people learn how to cultivate the land and, as a result, they are interested in what crops can be beneficial to their health. However, the emergence of one field or the digging of a well is preceded by negotiations with African governments, municipal authorities and, naturally, with local elders. It is only then that a field trip is taken. “When taking a field trip, we usually leave at six in the morning to get to the place at nine o’clock. Roads are not asphalted so it takes more time,” says Toužimská of People in Need. On-site, the organisation’s employees assess the situation, talk to local people and start implementing the project. Communicating with local people is absolutely crucial, according to Toužimská. “If we present a project and explain to them how it may influence their children’s health, they want to cooperate with us,” she continues. A similar procedure is used by other organisations, such as CARE, which focuses on assisting vulnerable women and children. “Our activities are always based on local needs, otherwise it is not possible,” explains Jan Koubek Kejzlar, director of the Czech branch of CARE, who has recently returned from a mission to assist South Sudanese refugees in Uganda. “We mostly hear words of thanks, but we also always ask about what was wrong from the participants’ point of view,” says Kejzlar. One of the main sources of money for CARE projects is the EU Trust Fund for Africa. “Thanks to the large volume of funds, the interconnection of the programmes, and the cooperation with other partners, these projects have the potential for greater change and benefits,” says Koubek Kejzlar. The Trust Fund is expected to mobilise up to €3.3 billion. The European Commission wants the funds to tackle the causes of migration and has repeatedly appealed to the member states to contribute to it. MEPs have pointed out that the EU funds must also support the development of democracy and respect for human rights. Jana Toužimská of People in Need also believes that insufficient respect for human rights is one of the main problems. “Countries should give local people more rights, and countries themselves should respect these rights,” says Toužimská. “The EU is the main supporter of African development, trade and security. But it has to continue investing, especially in education, to give hope to the younger generation,” says French MEP Maurice Ponga, author of the European Parliament’s recent resolution on relations between the European Union and Africa.